The quarterfinals of the FIFA world cup announced themselves in style on Friday with two epic clashes that fully lived out to the expectations of the millions tuning into both the matches. France vs Uruguay saw France advance through with an easy win. Scoring a goal in each half was more than enough to kill off a tooth-less and spine-less Uruguay side who were too damaged by the loss of their star striker Edinson Cavani. 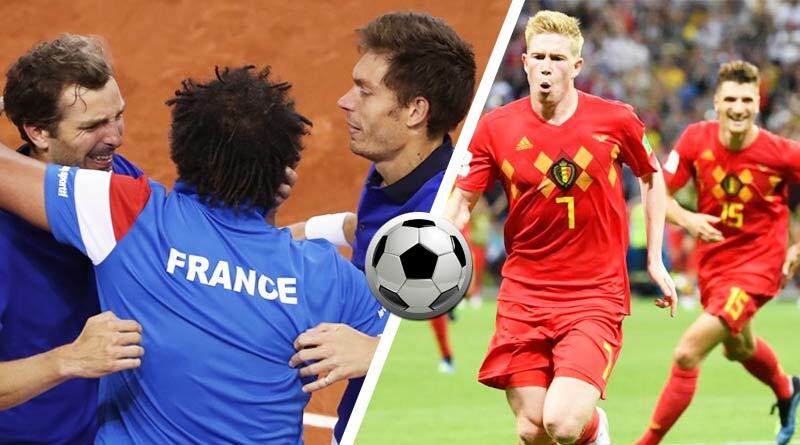 While France had it easy in the first match, Brazil and Belgium were made to tough it out in the second match of the day. And we had another shock on our hands with Belgium showing Brazil the way to the airport after one of the best performances by Belgium in their recent history saw them knock-out the clear tournament favourites. Coming back to Fifa World Cup 2018 Quarterfinal match highlights, Rolling past Uruguay, France booked their place in the semi-final of this year’ world cup. There is no other team who has played more poorly and yet made it so far into the tournament. And what is more surprising is the fact that France boast of some of the most exciting talent in this world cup. Despite that mediocre performances after performances have resulted in them rolling out poor play after play for five consecutive matches now albeit being successful for them. The same story was written out yesterday as well when they took on one of the stingiest defenses in the tournament. And individuals once again rose up for France with Varane popping up with an early header which helped France control the game. Having Kante makes any team a 1000 times better and that is just what the pocket sizes dynamic central midfielder showed yesterday as well. He intercepted, tackled and controlled the middle of the park with such ease that Uruguay was unable to string up anything of meaning. No Cavani meant no party of them especially with Muslera playing the party pooper after letting a howler go in off a Griezmann shot to seal the match 2-0 for the French. In contrast, Belgium V. Brazil was just the match needed to make up for two days no world cup action. And it saw Belgium finally live up to everyone’s expectations as they became men from boys to send Neymar and company rolling back to Brazil. With Eden Hazard being at his best, De Bruyne stepped up to the party as well, striking home a clean strike to double his sides lead after a Fernandinho own goal. A late consolation was all Brazil could mange, as with them, ended the dreams of all South American nations this year, making the world cup an all European affair now. Do let us know if we missed any interesting moment in the Fifa World Cup 2018 Quarterfinal match highlights.